Smart Money released an article on Friday about mobile vendors, called “10 Things Food Trucks Won’t Say”, detailing some of the biggest secrets behind food trucks in the United States. Among these ‘secrets’ are many rules of the trade that food trucks have had to deal with based upon government regulations and the basics of running a food operation. Below I’ve detailed some of the main points Smart Money brought to attention, alongside the factors at play. One of the first points mentioned by the article is that food trucks are often not supposed to be at the location they are serving from. This is in no way true for all food trucks, as each city has its own rules governing when and where food trucks can vend. While in cities like Portland, Oregon food trucks have far less stringent parking rules, in New York City they have recently been chased out of many parking places because of the arbitrary enforcement of an archaic rule. That is not to say though that the majority of food trucks are operating illegally. In many cities food trucks are banding together to find lots and parks where they can legally vend, with over five legal lots already present in New York City. Ultimately, food trucks’ issues with the law are a result of local governments’ failed attempts to regulate them and appease restaurateurs, which many food trucks are now resisting by citing that protectionist laws are hindering their business growth. The article then discusses how local restaurants hate food trucks because they steal customers and undercut their prices. The articles mentions later how food trucks actually are not very cheap at all (twice mentioning $16 lobster rolls from Red Hook Lobster Pound), and even raises a final point saying that food trucks are ultimately losing their edge. These conflicting ideas about food truck prices and popularity all contradict each other because there is no golden rule that defines all food trucks. While some food trucks do offer meals up to $20, they are using premium ingredients, like importing live lobsters from Maine. Today Red Hook Lobster is parked right next to Moshe’s Falafel, which offers generous falafel platters for under $5. Research has shown that food trucks disrupt fast food and quick service restaurants, most of which are chains. These same chains are taking to the streets with their own trucks, like the Taco Bell truck, Ben & Jerry’s Truck, Sizzler Truck and more. While prices vary, I can’t see how high prices at food trucks could deter customers from fast food restaurants, the same way I wouldn’t pay anything less than $15 for lobster from a truck and I wouldn’t pay more than $5 for ‘meat filling’ from Taco Bell. Smart Money says food trucks are losing their edge because the ‘cool factor’ is fading as chain restaurants develop their own trucks. That sounds like basic competition to me, the same competition that made food trucks initially more alluring and keeps many stagnant restaurant chains on their toes. 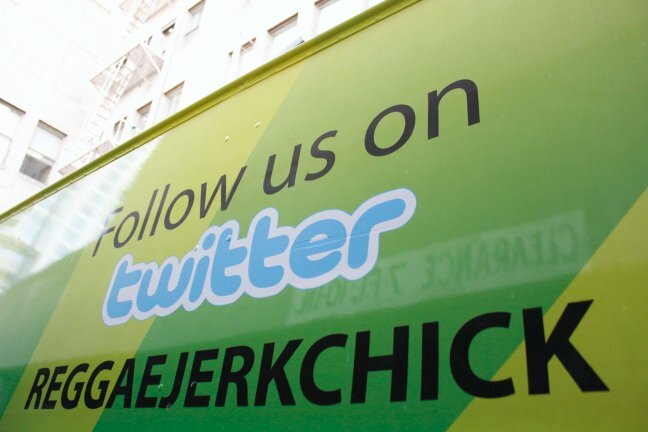 Several trucks claim to be the first to use Twitter to reach out to their fans, and Smart Money references social media as a tool customers and health inspectors both use to track food trucks’ whereabouts. Social media is a double-edged sword for many food trucks, while it has helped them gain huge followings and build up demand and anticipation for their offerings, it also allows authorities to follow them and keep up to date with their operations. The article cites an example where a food truck was ordered to close for a violation but continued to promote an upcoming event. If a food truck is forced to close than they still have the right to reach out to their fans, but to plan to operate illegally is something they should never publicly announce, and demonstrates a commonly known fact that people should be careful what they post on Twitter. For many people food trucks have never fully outgrown old nicknames like ‘roach coaches’, and Smart Money describes how restaurants and food trucks are not held to the same health standards and many even operate without licenses. The article says that lax guidelines in some cities may have accounted for the 53 outbreaks of foodborne illnesses that have occurred between 1998 and 2010, from food prepared at a fair, festival or other mobile food service infecting 1,186 people. The article makes no mention of how many outbreaks come from restaurants or from packaged goods, like last year’s listeria outbreak, or 2010’s salmonella outbreak that infected at least 2,000 people. While food trucks undoubtedly are held to different standards in different regions, this is not something they can be held accountable for. Health inspectors do their best to rate their cleanliness, same as restaurants; but without national standards these trucks can be difficult to monitor. However all trucks are subject to some level of health guidelines, except the ones that operate without licenses, according to Smart Money. Trucks that operate without licenses are running a very risky business, and as someone who has worked closely with food trucks and carts I have never encountered a truck without a license. New York and LA both offer a very limited number of licenses, contributing to a black market where $300 licenses are bought and sold for $20,000 and more. The market for legal licenses is completely saturated, though for a food truck to operate illegally it would have to undertake a considerable risk in doing so. In New York vendors are required to wear their licenses, and as consumers we can have the foresight to look for some document of authenticity before sampling their food. Undoubtedly there are some food trucks whose offerings may not be as fresh or clean as others; many cities forbid their food trucks from preparing food on the truck, and thus they must use alternate kitchens or their home facilities, and many food trucks do get very hot during the summer, the same way all kitchens do when in use. While all food trucks are not created equally, they do bear a much higher level of public scrutiny than most restaurants, and thus go the extra mile to make their trucks as clean as possible. Fortunately for us, organizations and vending associations have come along to demand fairer legislation and national standards. No system is perfect, which is why restaurants are inspected with letter grades of which many do not receive the grades they wish, and food trucks may soon face the same health inspections. If food safety is truly an issue we should be concerned with from food trucks, than nonprofit mobile food organizations should not be the ones to rally their own members, national regulations should be set to put these issues to rest. While food trucks may be simultaneously on the rise, declining in popularity, offering cheap low-quality food and charging too much for their food, they aren’t going anywhere anytime soon. rather than trying to limit and dispose of them, we should focus our energy on dispelling rumors by creating a national standard.